Thank you very much John for your kind words and thanks for stopping by! I immediately thought of the book Walden looking at the first picture. Great photos! Hadn’t thought of that, but now that you mention it….thanks for the compliment and thanks for stopping by! 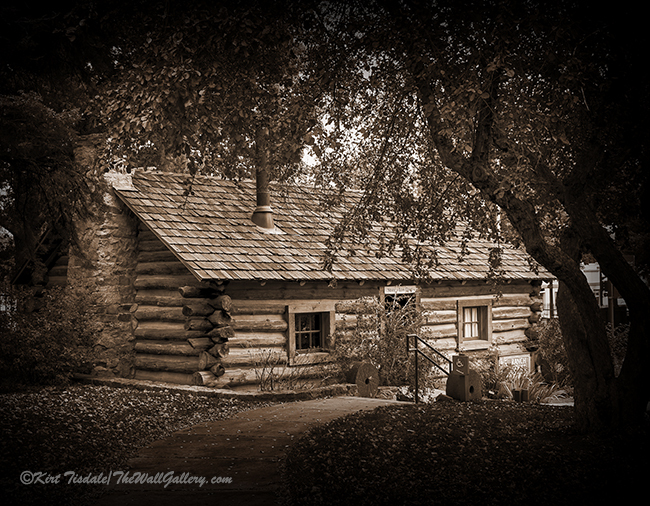 Love your sepia photos! Perfect subjects for sepia! These are wonderful, Kirt. The effect is perfect for the subjects. There’s something relaxing about them. Maybe it’s just the much less complicated times they evoke. Yikes! Crank up the AC! By the way, I meant to add that tomorrow I’m sharing my humble effort with a kinda-sorta sepia image. 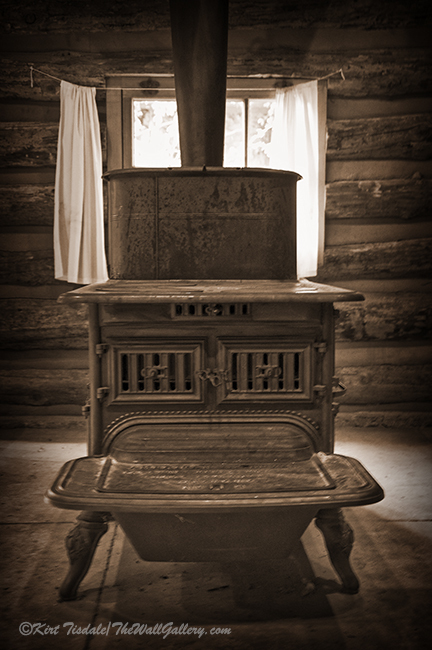 I love that stove…knew instantly it was gonna be a sepia shot! Thanks for stopping by Diane! Kirt I agree the sepia really brings out that vintage or historical feel to the images. I also am struck by the wonderful lighting in all three of the photos. Really brings depth to the images. Brilliant. Thank you very much Sue…I truly appreciate your feedback and kind words. 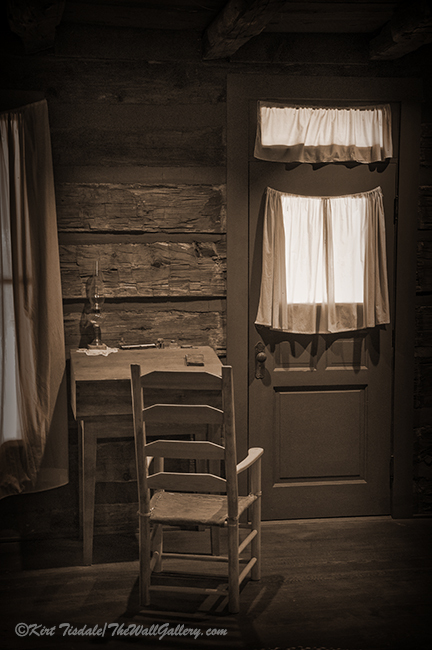 Seeing these items in log cabins or log buildings as they were back then really brings home how rugged the living conditions were compared to today. Then on top of that comparing the living conditions represented by these shots compared to what the living conditions are in the floating villages per your last post makes this look like luxury. Everything is relative and makes me humble with the life I have been blessed with! Thanks for stopping by!! It is all relative isn’t it? Your post and mine spur on gratitude for how much we have and that is a good thing. Always a pleasure to visit! Makes me feel like I lived there in the past, Kirt! Thank you very much Lorrie…I appreciate your kind words…have a great week!